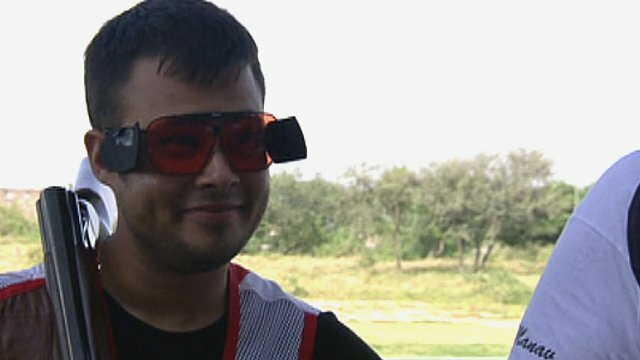 England shooter Aaron Heading won the gold medal in the men's trap singles at the Commonwealth Games in Delhi. Heading, who won bronze with David Kirk in the pairs event, said: "It was a hot field, the world's best shooters are here, to come out on top is amazing." 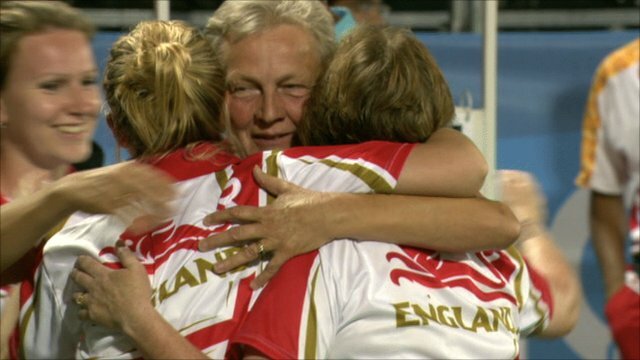 In lawn bowls, England won bronze in both the men's and women's triples. And in diving, Alicia Blagg - England's youngest competitor at 13 - missed out on a 3m synchro medal, finishing fourth alongside Rebecca Gallantree. The Leeds teenager and Gallantree were only 2.28 points behind Australia's Jaele Patrick and Olivia Wright. Jennifer Abel and Emilie Heymans of Canada won gold with Briony Cole and Sharleen Stratton second. Gallantree, 26, said: "We are really pleased with our performance but a bit gutted not to get a medal. It's a little bit double-edged but we are a new team and it's been a great experience. "It's been a year of fourth places for us but next year we can step it up hopefully and get in for those medals." England's Nick Robinson-Baker finished sixth and Oliver Dingley ninth in the final of the 1m springboard, as Australian Alexandre Despatie claimed his third consecutive Commonwealth Games title. Lincolnshire's Heading, 23, was overwhelmed by his achievement in shooting's trap singles, having beaten two-time Olympic champion and five-time Commonwealth champion Michael Diamond into second place. "He [Diamond] is a great guy, he is amazing," said Heading. "I can't say I beat him, I just got one more, but I felt like I could go up a gear in the final, even though I missed my first bird. I just carried on - and look how it turned out." By contrast, Mick Gault endured a frustrating day in the 25m centre fire pistol as he finished fourth after his gun failed. The 56-year-old, whose 15 Commonwealth Games medals tally is two short of the all-time record, was involved in a shoot-off after finishing equal second with three others behind Harpreet Singh, who won gold for India. After scoring zero with the second of his five shots, Gault then had a malfunction with his gun and chose not to continue as he could not mathematically win bronze at that point. He still has two competitions left before retiring. If Gault was having a bad day, it was worse for the Australian who finished a place behind him. Michelangelo Giustiniano, a gold medallist in the 1994 and 1998 Games, accidentally fired all five of his final shots into a rival's target. In lawn bowls, England's men's triples team of Mark Bantock, Rob Newman and Graham Shadwell were beaten by Australia on a tie-break in their semi-final but bounced back to beat Wales 2-0 in the bronze medal match. England's women's triples team of Sian Gordon, Sandy Hazell and Jamie-Lea Winch lost their semi-final on a tie-break to South Africa but defeated India in the bronze medal match.